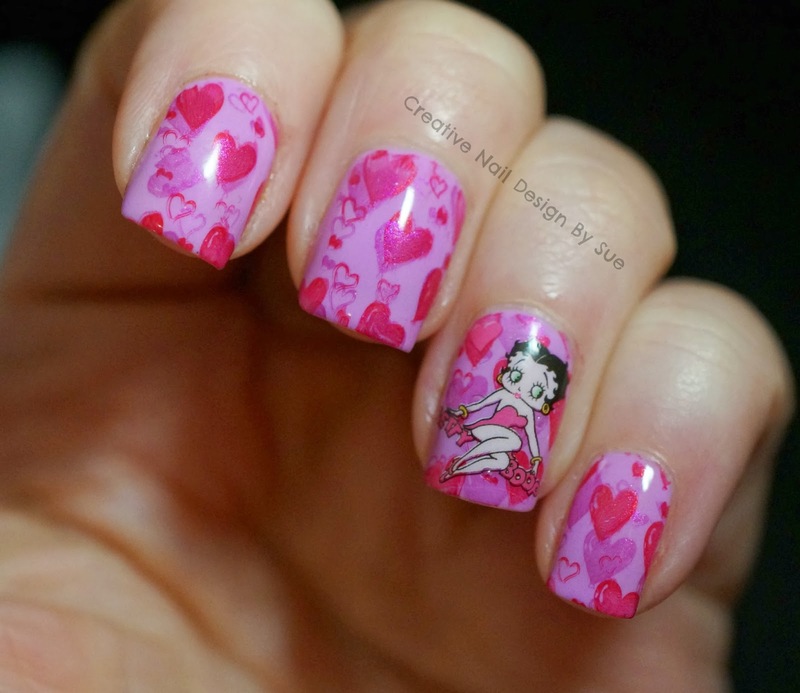 This week's Digital Dozen Vintage theme made a want to use my Betty Boop decals I got last year. Here is a quick look at what I did. Stamped on some red and pink in Marc Jacobs to give some interest in the background. Love these decals from KKCenter. They are super easy to apply. Awesome! I love that you did the decal on top of the stamping...added a different element to the mani! The decal is very cute and a perfect match for that lovely base design! Have an amazing weekend! This is getting quite creepy that we share a brain. these are FAB!! !